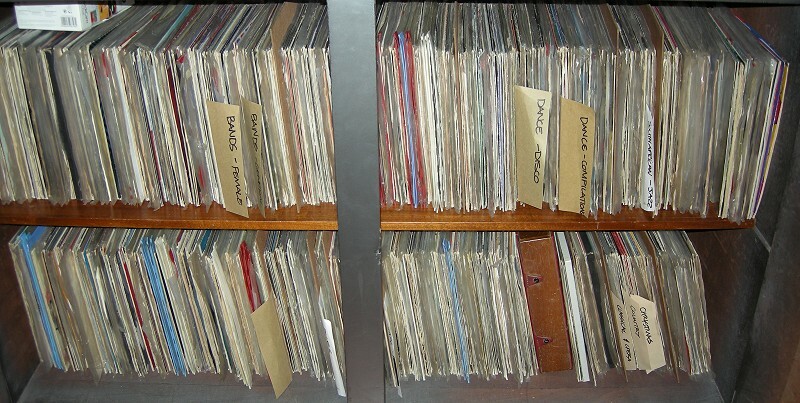 So it is not secret I have finally been converting my Records into a digital format lately. There are several reasons why it has happened now. Firstly, I actually have an old PC dedicated to recording. Secondly, I also have a turntable with a band that isn’t stretched like an old stocking! Thirdly, and most prompting, I need to pack again! The house is for sale! So many things are being unpacked (long boring story that spans several lifetimes) and only what is wanted is being repacked to move. Since it may be some time before I unpack into a new house, I want to keep only what is needed or wanted. The records are no different. So I have been quite ruthless (well, ruthless for me at any rate) and a few boxes worth of records will no longer be crowding the 18 wheeler when we move again! 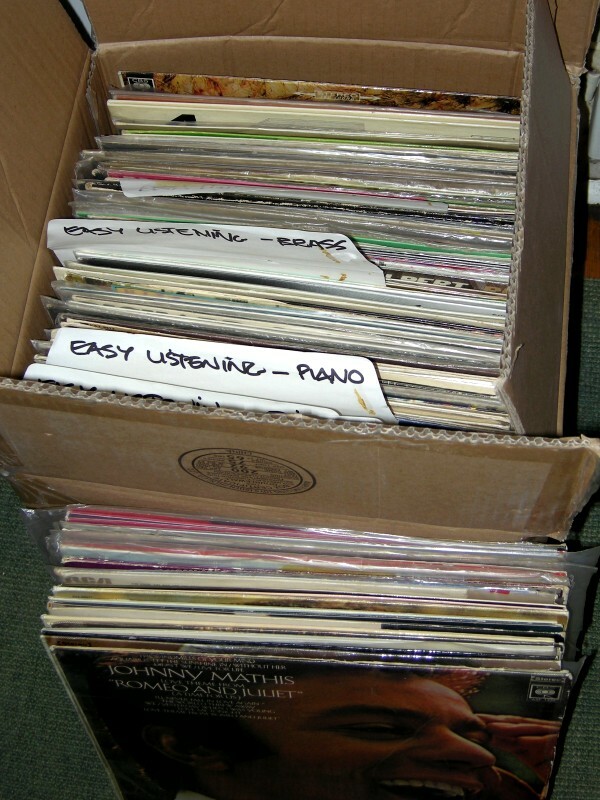 Many people don’t believe that I had close to about 2000 LPs! So for the record, here is proof of what has survived the sorting! I have slimmed it down to my ugly old grey cupboard and two boxes! Their numbers will thin down some more as the years go by and I replace them with CDs. One ugly grey cupboard confined to the back room not to scare fashionistas! Yet Another Box with give or take 100 odd! So far I have gotten around to a brief selection from here and there, the Disco section, foreign section, and about a 5th of the Easy Listening section! So much to record! So little time! What I found very interesting is the amount of resurgent interest in old records and the vinyl oddity online. I was just researching for dates and such – as many older records simply omitted them – and found a wealth of info online. I thought I was one of the few people left who knew what Phase 4 Stereo was! 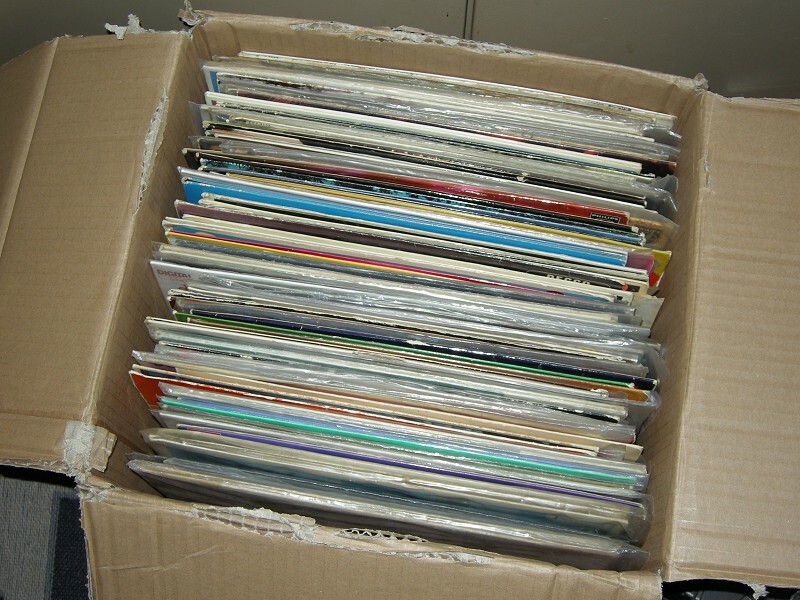 I was so surprised to see many of my old records reliving a second wind online! I never realised so many people knew what the Franck Pourcel I was talking about! Soon, I shall be experiencing Phase 4 Stereo in 5.1 surround sound! Fabodelic! Just a tremendous pity there is no way of getting these quadraphonic records recorded beyond stereo. It would put the 5.1 to shame by 7.1!